Now you can apply on-line for your children to receive free or reduced price school meals. Your application will be sent from a secure web site directly to Little Miami Schools so you don’t need to worry about filling out a paper form that could be lost or misplaced. Payschools.com has been designed to make it easy for you to know exactly what information you need to provide and to guide you through the process. Once your application has been received the district office will determine your eligibility and send you a letter with the results. 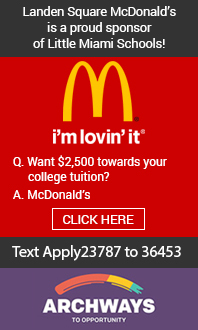 To apply, simply go to Payschools.com and Click Apply Now.